According to the latest data and analysis from The Deposit Protection Service, a fall in annual rent and wage inflation saw 2018 as more affordable year for tenants. The data revealed that 2018 was the first calendar year since the global financial crisis of 2008 that average rents decreased in the UK, with the percentage of wages spent on rents dropping 0.5% to 31%, according to The DPS Rent IndexTM. Wages increased on average by 2.83%, according to ONS data for the period between January and December 2018, the organisation has noted. Average rent in the UK fell by £9 (or 1.17%) from £774 in 2017, to £765 in 2018. The biggest annual fall was in Yorkshire and the Humber, where average rents fell by £21 (3.63%) to £546, making it the third most affordable area in the UK after the North East (£529) and Northern Ireland (£544). Rents in the North East fell by 1.47%, or around £8 compared with 2017, with average rents being around 32% lower than the national average. The second most affordable region was Northern Ireland, however annual rents rose from historically low levels by 2.38% last year, from £532 in 2017 to £544. Scotland and Wales witnessed modest growth in rents compared with 2017, with Scottish rents rising by a marginal £1 (0.19%), while in Wales rents rose on average by £8 (1.42%). London continues to have the most expensive average annual rent in the UK, at £1,294, 69% higher than the national average, and representing 41% of average London wages. Decreases were experienced in average UK rents for all property types, with terraced properties showing the largest decline (2.49%), producing average rents of £711 in 2018. What would a no-deal Brexit mean for the property market? Meanwhile, while the London market may have stagnated somewhat, commuter belt towns have also become popular investment destinations. Given their close proximity to London and affordable housing options, places like Luton are experiencing a significant influx of London workers choosing to relocate outside of the city. Luton has taken the lead as London’s top commuter location and is currently benefiting from a £1.5 billion regeneration project to upgrade the town centre. As the deadline looms for making resolutions for a better year ahead, seasoned landlords are advising their less-experienced counterparts to invest the time in getting to know their tenants. A survey conducted by online lettings agency, Upad, reveals that one of the biggest regrets of experienced landlords when they first started off, was not meeting and vetting prospective tenants themselves (12% of respondents). A further regret was failing to appreciate the value of tenant referencing checks (10%). James Davis, Founder of Upad who himself is a portfolio landlord, comments: “I’ve always promoted the value in getting to meet a prospective tenant face to face and the fact that almost a quarter of the landlords we questioned regret not investing the time in properly doing so, highlights what an important part of letting a property this is. Indeed, such is the importance with which Upad’s landlords hold meeting prospective tenants, that when asked what one piece of advice they’d give to those starting off in the buy to let market, it was the clear winner with over one third citing this as the most essential piece of advice. Julian Richards has been a landlord for 14 years and couldn’t agree more. He says: “It’s not always easy to find the time to meet with every prospective tenant but making small sacrifices to free up the time to do so can really pay dividends when you secure a tenant who will remain in situ for several years. Upad’s research also revealed that financial issues continue to be of significant concern to landlords. Eleven per cent felt that when they started out in buy to let, they had misjudged the rental value of their property, whilst 27% felt that the best piece of advice they could give to a new landlord would be to do their sums and ensure they’re prepared for unforeseen financial circumstances. Looking forward to the coming year, a third of respondents stated that continued taxation changes would prove to be their greatest cause for concern. James concludes: “There’s no denying that the days of having enough spare cash to invest in an investment property and then sitting back to watch the rent roll in are, for most landlords at least, well and truly over. Issues relating to taxation, profitability and overall affordability, not to mention planning for unforeseen circumstances, play on all but the most nonchalant landlord’s minds. RLA warns of new risk to landlords. 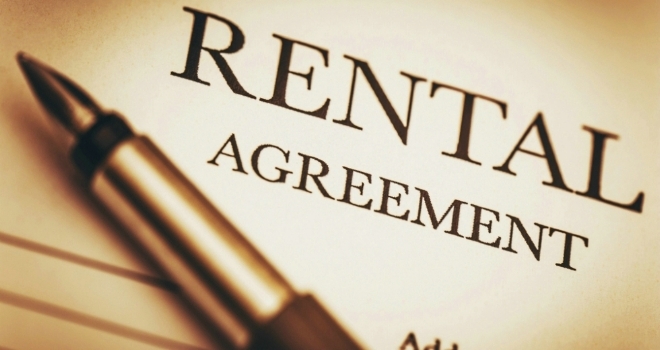 New rules to protect rent paid by tenants to letting agents will fail to provide adequate protection for landlords, the Residential Landlords Association has warned. From April next year, all letting agents in England will need to be members of a Government approved Client Money Protection (CMP) Scheme. These will protect the rental money that a tenant pays to a letting agent to pass onto their landlord in situations such as the agent ceasing trading. • The level of insurance held by CMP schemes will not cover the full value of the rental money held by the letting agent. • The CMP schemes will not pay out in certain circumstances. • CMP schemes will be able to cap the amount they pay out, in the same way as the Financial Services Compensation scheme. The Residential Landlords Association is warning that there will be a considerable risk to landlords, particularly those with large portfolios, of not receiving all the money which they are owed. It is advising that to help reduce the risk, landlords should spread their properties across a number of agents so that they reduce the need to go over whatever limit will be guaranteed with each one. David Smith, Policy Director for the RLA said: “It is right that money provided to agents by tenants for landlords should be protected. It is disappointing that the Government’s plans will not offer full protection and we urge Ministers to think again or they will undermine confidence in the scheme. What is the true effect of tax changes on the buy to let market? 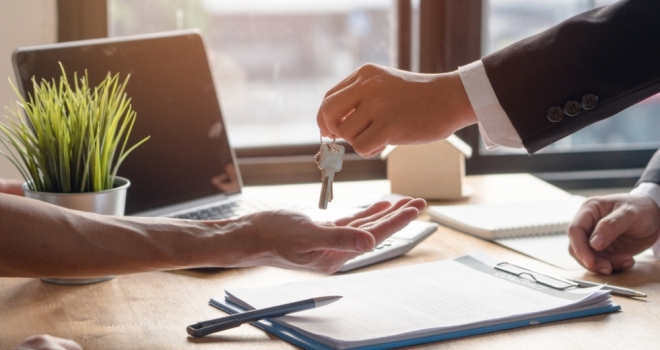 Although media coverage of landlord reactions have been mixed, it is fair to say that the buy to let industry has undergone radical change over the past couple of years and most, if not all landlords have been affected in one way or another. Speculation suggested that landlords would quit buy to let in their droves. Meanwhile, there has been a growing trend for landlords to move property ownership into a limited company for tax purposes. 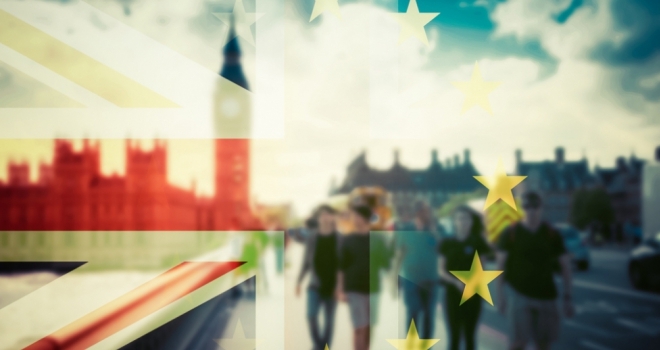 Furthermore, recent data from property advice website The Property Hub, suggests that many existing landlords are undaunted by recent changes and the threat of a no-deal Brexit, with 77% planning to increase their portfolios over the next 12 months. Andrew Turner, chief executive at specialist buy to let broker Commercial Trust, puts the story straight on the true outcome of tax changes on buy to let. Andrew says: “It was inevitable that tax changes, which could potentially suppress profitability in the short term, would impact upon the perceived desirability of buy to let investment. The expectation was that this would be most keenly felt by those with fewer properties, because adjusting to the changes would be a more painful process for new investors or those with less experience. However, the simple fact is that buy to let remains a solid investment option, with strong potential for an attractive and profitable return on capital invested. Investors should not be deterred from buy to let. Demand for rental housing is stronger than ever, the cost of debt remains relatively cheap and the housing shortage is likely to continue. Even so, any investment decision requires care and expertise. Many headlines have focused on one and two property investors who have left the market because they have found it difficult to adjust. Landlords have time and again proven that they are willing to adapt to change when necessary. Recent data from UK Finance, also indicated an evolution in buy to let, rather than a mass exodus. However, Bennett went on to add that buy-to-let remortgaging exceeded forecasts for 2018, with lending likely to reach £27 billion, representing a £3 billion surplus on what was anticipated. Turner said: “The market continues to grow and in Q2 2018 increased by 6% over 2017 levels. UK Finance statistics revealed that much of this growth was in remortgages, which grew by 15%, while purchases dipped by about 12%. In early August 2018, the Bank of England decided to increase rates by 0.25%. Although there has been limited market reaction so far, I expect to see market rates increase, because margins are wafer thin. According to a new study, tenants would stay in their rented homes for longer if landlords let them do the place up to their own tastes. Unfashionable décor, damage left by previous tenants and bans on pets were all reasons cited by tenants putting them off renting a property. But the big surprise was that 44 per cent of tenants would be happy to redecorate a rented home to their own taste – and they say this would encourage them to take more care of the property – while a third would spend their own money on decorating to make their rooms look nicer. “For many people now, especially the younger generation, the idea of owning your own home can feel like a bit of a pipe dream,” said Alan Kemp, head of brand marketing at Graham & Brown, which commissioned the report for International Wallpaper Week (October 1 – 7, 2018). The research also disclosed that 27 per cent of renters had turned down a buy to let property because of the state of the décor. They were put off by out-of-style coloured bathroom suites, textured walls or ceilings, bare walls, magnolia paintwork and coloured kitchen units. One in five said their landlord would not allow them to decorate, while 62 per cent would get out paint brushes if the landlord gave them permission to restyle their homes. 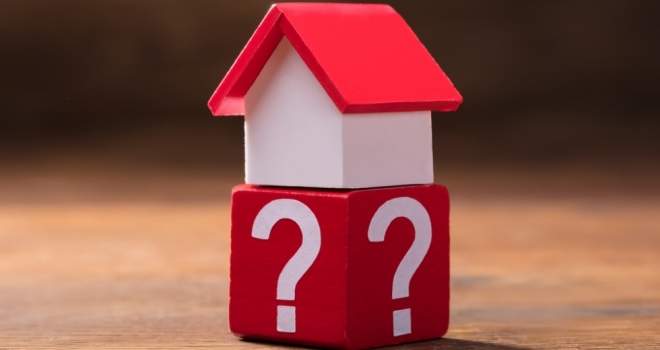 According to a recent study by online letting agent, MakeUrMove, and contrary to Government proposals, only 7.2 percent of UK tenants stated that they would prefer a tenancy lasting three years. The research found that instead, 30% of tenants want tenancies to last 12 months, and a further 20% want tenancies to last for no more than two years. While the outcome of the consultation is yet to be published, these new findings show many prefer flexibility and freedom when it comes to tenancies, with 31% saying flexibility was the most important factor when looking at the length of their tenancy. 29% of tenants stated that they’d actually like a tenancy to last significantly longer than three years, and nearly half (43%) of the tenants questioned had spent more than five years in their current rental property. Alexandra Morris, MakeUrMove’s managing director, commented: “Many tenancy agreements are currently set at twelve months with a six months break clause and we’ve found nearly a third of tenants are happy with this length. Our findings reinforce that the majority of people want either the flexibility of a shorter rental, or the security of a much, much longer term. The findings also revealed that 59% of tenants surveyed had been the ones to give notice on their last tenancy, with just 3 percent being evicted by the landlord. The research questioned members of the public in a wide range of housing circumstances, both homeowners and those renting. Those who currently own their first property, whether mortgaged or owned outright, were the least positive about market growth, with 68%(owned outright) and 70% (mortgaged) believing that Brexit will result in steady or rising property prices. Those renting, but with a desire to own, came next with 72% predicting stable or rising property prices, followed by those who own a mortgaged property that is not their first property (75%), those who are renting with no current desire to own (80%), those who own a property outright that is not their first property (80%) and those who are currently living with parents (86%). Market optimism was also fairly consistent across all age ranges, though those aged 25 to 34 were the most reserved with their predictions of market strength. Danny Luke, Quick Move Now’s managing director, commented: “The British public appear to be feeling really quite positive about the impact of Brexit on the UK property market. I hope the public are right, however there are several indicators that I think we need to pay attention to. The recent interest rate increase, a report from Rightmove suggesting that property asking prices are falling, national statistics showing an eight percent reduction in the number of property transactions, and predictions from the Royal Institution of Chartered Surveyors (RICS) all suggest that the British public may be a little overly optimistic. That’s the warning from national security firm Croma, which is urging people to think carefully about protecting their homes this summer. 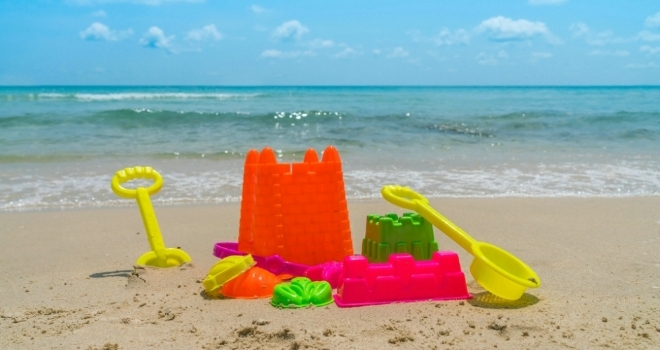 Millions of us are expected to head off on holiday in 2018, with the forthcoming school holidays a catalyst for even more travel in July and August. But with burglaries on the rise (up 9% on last year according to the ONS), people are being urged to make sure they leave their empty homes as protected as possible. Roberto Fiorentino, CEO of Croma, says: “What we’re seeing on the ground really reflects the national figures and, furthermore, we’re seeing a real rise in criminal gangs, who are far more sophisticated when it comes to burglaries. Cyber security experts this week revealed that hackers can determine your exact location to within a few feet through your Google home speaker or Chromecast device. Switch off your device and your broadband while you’re away. Bragging about the fact you’re about to jet off to the Maldives for two weeks could put your home, not just your popularity, at risk. While you may think your group of Facebook friends is small, you never know who might be listening. Keep quiet about your movements. Some of our clients have electric blinds they can set to open and close remotely from an iPad, which is a good decoy. If you don’t have the budget for connected devices like these, take simple steps like setting lights on a timer, asking a neighbour to park in your drive and cancelling deliveries so they don’t pile up on your doorstep. There’s no point having security cameras pointing right at your front door – by the time a burglar has got that far it’s too late. Position them further away to detect potential burglars further away with the assistance of perimeter detection. You can enlist a security firm like Croma to monitor your CCTV while you’re away. They can move quickly if something happens. Too many people leave a spare key hidden under a rock or in a porch. Needless to say this is asking for trouble. Leave it with a neighbour you trust implicitly. In recent years, the UK housing market has experienced a steady increase in the number of residents renting privately: 20% of households are now in private rented accommodation across the UK (with 30% of the population renting in London). This trend can be attributed to the poor supply of new homes and rising house prices. In recent years, the shortage of housing supply has been thrown into the spotlight thanks to the combination of a recent price boom and stagnant real wages. According to figures by Nationwide, the annual rate of house price growth has increased to 2.5% in October 2017, pushing homeownership further out of reach of young Londoners looking to buy their first property. These factors all contributed to opening a gap in the market, giving property developers a new way to profit from Generation Rent: those under 35 years old in full employment stuck in overpriced housing and earning too much to qualify for social housing. In 2017, the growing build-to-rent market attracted £2.4bn in investment and is forecast to grow by a further 180% over the next six years. It seems like build-to-rent offers great opportunities for property investors: in fact, the demand for more affordable private rental properties is expected to increase alongside the development of new build-to-rent units. Recent forecasts by PwC property consultants expect to see 60% of Londoners living in rented accommodation by 2025. New purpose-built homes are typically flats, developed with the aim of appealing to long term renters instead of buyers. A typical example would be the former 2012 Olympics athletes accommodation in Stratford, London, now converted to a build-to-rent style complex. Research from the BPF and Savills published in April 2018 shows the total number of build-to-rent homes complete, under construction and in planning across the UK has increased by 30% in the past year. There is no doubt that this figure is set to increase. To tackle the recent housing crisis, Prime Minister Theresa May has invested government funds to increase housing supply by building 300,000 houses a year for the next five years. Build-to-rent was not a focus area for government action, instead focusing its efforts to encourage homeownership. However, in May 2018 the British Property Federation has published research that shows 75% of MPs support build-to-rent and its contribution to the UK housing supply. Although London mayor Sadiq Khan has announced his intentions to build 5,000 build-to-rent properties in the capital, investment is only limited to collective investment, and not singular bodies. It seems like the government has identified build-to-rent as a way of boosting supply, however we are yet to see schemes opened up to local authorities and developers. 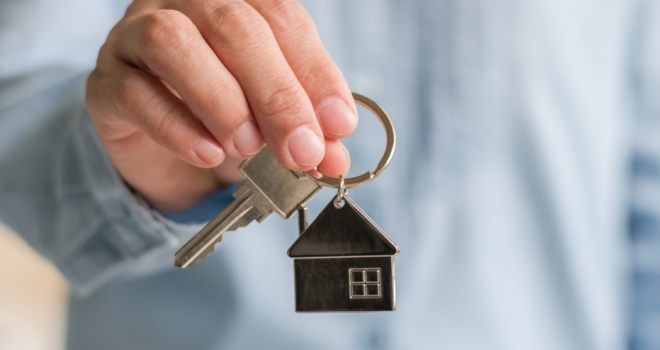 The government has called for the entire private rental sector to provide longer-term tenancies for families and older renters, and many large development companies have responded to this growing need. Noteworthy build-to-rent investments included Grainger agreeing three deals for a total of £86 million in Sheffield, Manchester and Birmingham. Additional investment from Legal & General meant that Birmingham alone secured £81 million worth in investment during the fourth quarter. One of the landmark London deals of 2017 was CPPIB’s £250 million investment in to Lendlease’s Elephant & Castle project. The build-to-rent sector is funded and managed by investors who require long-term rental growth, which means its business model essentially depends on ensuring its customers’ experience of renting is an enjoyable one, and the sector becomes one in which they are happy to stay if they wish. Although build-to-rent may not be a mainstream property class at the moment, increased investment patterns, growing demand and the government’s rising support for this asset type are proving to be invaluable to the acceleration of this industry.